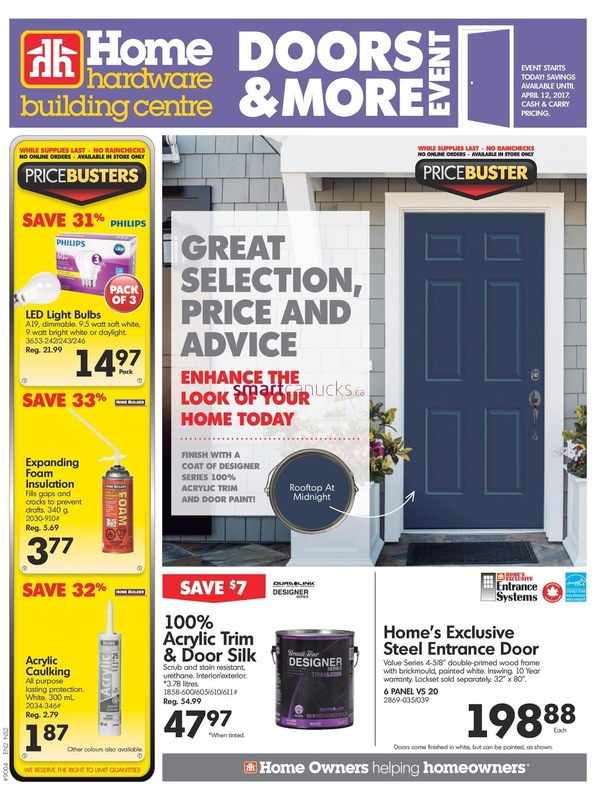 Home Hardware Building Centre Flyer April 5 to 12, 2017 (Atlantic) - Home Hardware Flyer has the best alternatives and biggest discounts. Regarding the hardware, Home Hardware is the best place to see and it has all the literary you need. All you need, select your hometown for any new flyer. 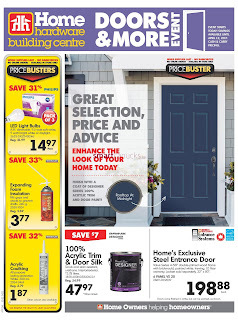 Home Hardware building centre, doors and more event, event starts today! 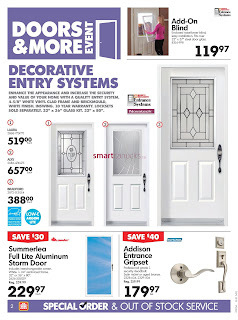 saving available until April 12, 2017 Cash & Carry pricing, On cover page flyer Geat selection, price and advice enhance the look of your home today, finish with a coat or defigner series 100% acrylic trim and door paint! Acrylic Cauking All purpose lasting protection white, 300 mL other colours also available Price $1.87. Doors & More event decorative entry systems available on page 2 Enhance the appearance and increase the scurity and value of your home with a quality entry system 4-5/8" white vinyl clad frame and brickmould, white finish. Inswing. 10 year warrantu, locksets sold separately, 22" x 3" glass kit, 32" x 80"
Follow here Register on social media (Facebook) or to get the next post with immediate updates.